A new Skylanders Starter Pack is headed to stores October 2016. 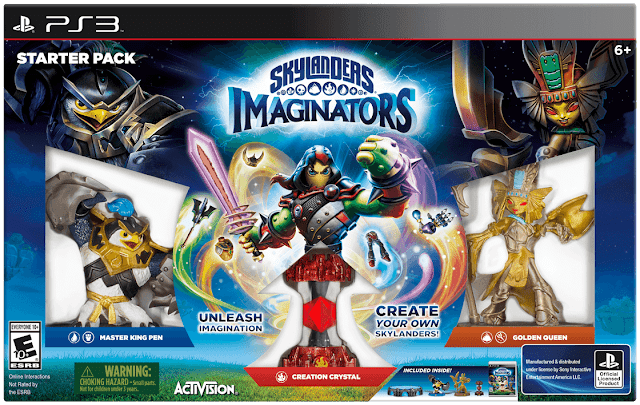 This new game is called Skylanders Imaginators. You will have to ability to create your own skylanders. How cool is that? Well my son is pretty excited about it. He already started drawing some of his own creations. Skylanders is having a Art Contest too. You can create your own and post the picture to Twitter or Instagram using the hashtag #SkylanderArtContest and check out all the fun submissions. Starter Packs can be pre-ordered here for $74.99. The game will be available for PS3, PS4, Xbox360, Xbox One, and WiiU. I'm so glad we have the PS3 already. Does your family play Skylanders? We have all the expansions. Although we started out on the Wii. The one thing I am excited to see is the Sensei characters and Ski-Chi. I love how each time around they get more creative. Our family owns a Xbox and a Xbox one! My husband and kids are into video gaming as a family. Imaginatiors looks like it would be something we all would enjoy playing together. Skylanders are also a huge thing in our house. Thanks for letting me know about the sweet deal. My son will definitely be excited by this news! I love that Skylanders is so conducive to family play.